Having another potential big snow storm on the way this week, and cold temperatures again, have gotten me into soup mode again. (Um, I thought it was Spring!?) 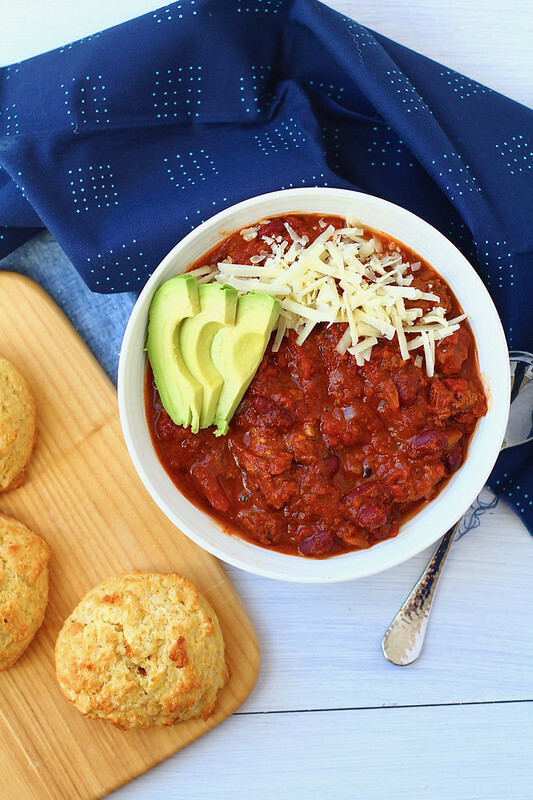 Comfort food is important to me in the winter, and chili fits the ticket perfectly. 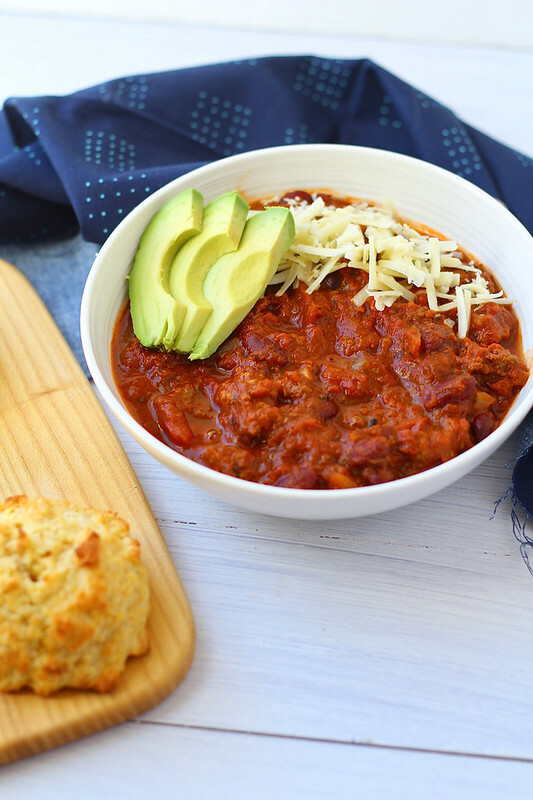 This particular chili is wonderfully hearty and filling. I love to serve classic cornbread on the side. This is a pretty popular dish in my family. As long as I don't make it too spicy, my kids will eat it. I love how in this recipe the hamburger doesn't get completely lost amongst the beans. One pound of hamburger is made into little balls and added a little later into the chili so it doesn't break down during the cooking process. I love it! It's like mini meatballs. 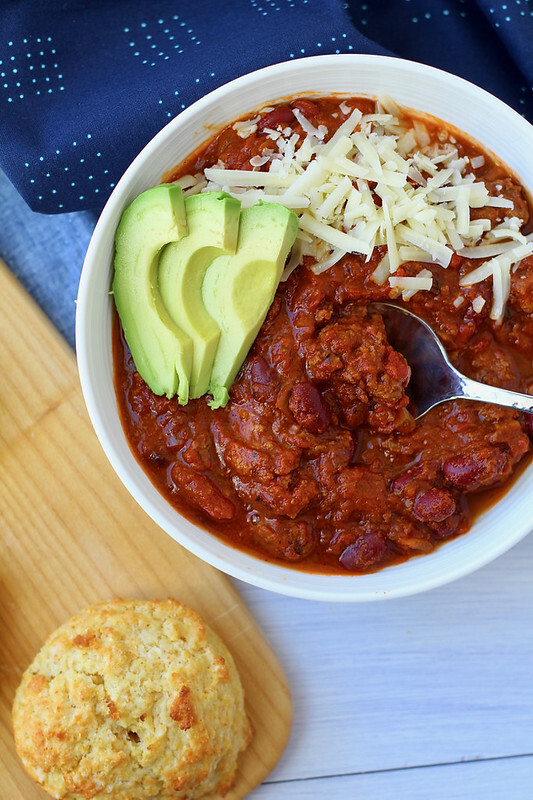 This chili is even better the next day (as most soups are). This is a great dish to have simmering on the stove while playing out in the snow! Heat the oil in a large pot over medium heat until shimmering. Add the onions, bell pepper, garlic, chili powder, cumin, coriander, red pepper flakes, oregano, and cayenne pepper, and cook, stirring often, until the vegetables are softened, about 10 minutes. Add 1 pound of the hamburger. Increase the heat to medium-high, and cook, breaking up the meat, until no longer pink and just beginning to brown. Stir in the beans, diced tomatoes, crushed tomatoes and broth. Bring to a simmer. Reduce the heat to medium-low and simmer until the chili has begun to thicken, about 1 hour, stirring occasionally. Break off teaspoon-sized balls from the remaining 1 pound of hamburger. Stir them into the chili. Continue to simmer, stirring occasionally, until the hamburger is tender and the chili is slightly thickened, about 40 minutes longer. (If the chili begins to stick to the bottom of the pot, stir in 1/2 cup of water.) Season with salt and pepper to taste. Serve with shredded cheddar cheese, sour cream and sliced avocado, if desired.